Home > Blog > Litigation how does it begin? Litigation – how does it begin? Litigation always starts with a dispute. The dispute can take a variety of forms. The dispute could arise from claims of breach of contract, defamation, copyright infringement, quiet title, other torts, and many other claims. The dispute might arise between business owners or neighbors or between a consumer and a business. If you’ve found yourself in the midst of a dispute, you should understand how the litigation process begins. Before jumping right into a lawsuit (i.e., the litigation process), a party may wish to send a demand letter to the opposing party in an effort to resolve the dispute before becoming wrapped up in litigation. Sometimes these letters are successful in resolving the dispute and coming to a settlement and other times the letters go unanswered. The disputing parties may decide to submit to mediation or arbitration before going to court. These alternative forms of dispute resolution provide options that may facilitate a quicker resolution to the dispute in a confidential setting, and at a lower cost than if the dispute went through the normal court/litigation process. Indeed, some contracts will include provisions requiring alternative dispute resolution before taking the issue to court. If the dispute involves a written contract, you should check to see if you are required to go through mediation or arbitration before proceeding to litigation. Litigation starts when a complaint is filed—this complaint is often referred to as “the lawsuit.”. Before filing a complaint, the party must determine which court to file in. Whether the suit should be filed in Justice Court, Superior Court, or Federal Court will depend on the type of claims involved, where the parties are located, and the amount in controversy. A complaint sets out the facts of the dispute, the allegations, and what relief the party is seeking. Once the complaint is filed and filing fee is paid, the court will issue a summons for each defendant named in the complaint. Each of the defendants must be served with the lawsuit before the case can proceed forward. Generally, the defendants are personally served by a process server. If personal service is not possible, then the party can be served by publication or by seeking approval from the court for alternative means of service. In Arizona state court, once a party is served, they will have 20 days to respond. In federal court, each defendant has 21 days to file a responsive pleading. The answer will go through each of the allegations asserted in the complaint and it will admit or deny each allegation. If a defendant does not file an answer or other responsive pleading within the answer timeframe, then the plaintiff can go through the default proceedings to obtain a default judgment. In state court this involves filing an application for default, motion for default judgment, and sometimes requires a hearing before the court. The default process is different in federal court. If you have been served with a lawsuit, it is important to respond in order to avoid a default judgment. If a party does file an answer, then the litigation proceeds forward to the discovery phase. The parties will be required to disclose documents and can proceed with discovery requests. The court will enter a scheduling order in the case that sets deadlines for disclosures, discovery, and trial. The parties can request information from third parties regarding the dispute through subpoenas and may require individuals to attend depositions. Depending on the complexity of the case, it can take months and even years to get to a trial. 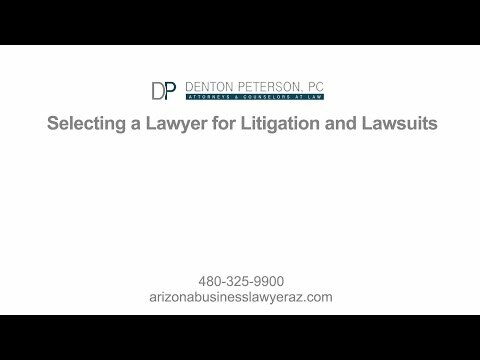 The attorneys at Denton Peterson are experienced in handling litigation involving many different types of claims. 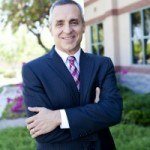 Contact our Phoenix litigation attorneys if you have been served with a lawsuit or think a dispute needs to be resolved in court. Our attorneys can assist you through the litigation process.